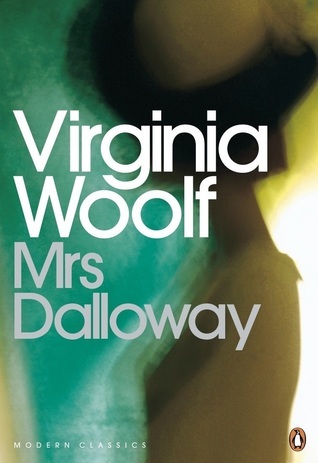 Virginia Woolf’s classic 1925 novel Mrs. Dalloway is one of this prolific writer’s best known works. It tells the story of a single day in the life of Clarissa Dalloway, who struggles with the fact that she is no longer the young woman she used to be once upon a time. Set in the urban tumult of London after WWI, Mrs. Dalloway is a fascinating exploration of what it means to be an adult woman in this rapidly changing yet surprisingly stagnant society. Where do I possibly begin? Mrs. Dalloway is one of those novels that had been incessantly recommended to me for years before I finally read it recently for a tutorial. This was only the second Woolf novel I had ever read (the first one being To the Lighthouse over the summer) so I sort of knew what to expect from her style but no idea what to expect from the general story itself. I needn’t have worried, though; Virginia knows what she’s doing. Mrs. Dalloway is a novel rooted in the modernism of the early twentieth century, one of my favorite time periods and literary movements to study. One of the important markers of modernism is experimentation with narration, such as the stream of consciousness style Woolf uses throughout the novel. Although the novel is told through the eyes of an omniscient third person narrator, we nevertheless are privy to the innermost thoughts of a vast cast of characters through free indirect discourse. We learn about Clarissa’s relentless yearning for the past, Septimus’ struggles as a veteran in postwar British society, Lucrezia’s unhappiness with her husband, Peter’s love for Clarissa…. the list goes on and on. At times it may actually feel as though we are hearing from the characters in their own voices; this immersion is the beauty of Woolf’s writing. Another feature of modernism is a fascination with time. Woolf plays with the concept of time in a number of ways in this novel: the measured tolls of Big Ben over bustling London, the characters’ varying perceptions of time, the constant flashbacks to the past, etc. There is also the fact that the entire novel takes place over the course of a single day in June 1923. This detail is one of my favorite things about Mrs. Dalloway because its bewildering and even unbelievable at times because so much time seems to pass from the beginning to the end. The flowing and fluid stream of consciousness style makes it seem as though a lot is happening when in actuality the reader is just experiencing a lot of the characters’ thoughts. While reading I had to constantly remind myself that all of this was happening in a single day because it just seemed so unlikely. This novel also deals with many important and interesting topics: aging, missing youth, the role of women in society, postwar British society, the plight of veterans after WWI, the relationship between noncombatant civilians and veterans, mental health, etc. When my tutor told me that I could write an essay on any topic from Mrs. Dalloway I immediately felt overwhelmed. How on earth could I choose just one? 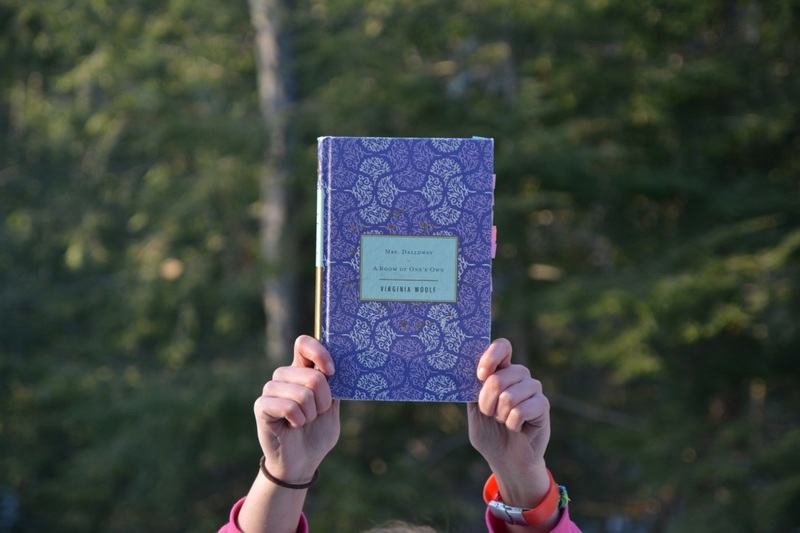 Somehow Woolf has managed to pack a tome’s worth of material into a slim, beautiful, well-crafted novel. Overall, Mrs. Dalloway is a captivating, brilliant novel that I couldn’t help becoming invested in from the very first page. This may have only been the second Wool novel I have ever read, but it most certainly won’t be my last! I would highly recommend this novel to anyone and everyone! What are your thoughts on Mrs. Dalloway? Do you have favorite novel or text by Virginia Woolf? Let me know in the comments section below! virginia woolf completely intimidates me, and it’s because she’s a master at including SO MANY themes, her thoughts are so complex and gorgeously written out??? i’m so glad you liked this one, now I have to read it. The end of your comment made me actually laugh out loud 🙂 I was a bit intimidated by Woolf’s novels before I read them, too, but once you start reading them you get sucked in immediately. I would also recommend To the Lighthouse– that’s the first Woolf novel I read and I think it was a great intro to her work. Mrs. Dalloway is a beautiful novel. I love Virginia Woolf’s style and subject and all around gorgeous writing. I need to read more because I haven’t encountered nearly enough of her works. But if you liked how she plays with time in Mrs. Dalloway, you simply MUST read Orlando. It’s one of my favorite works of hers and is so underrated. Also, I've never heard of The Hours. Thanks for the recommendation! That sounds amazing! I’m sure it will be a fantastic experience. It’s a brilliant movie, yet oddly unknown…especially considering Nicole Kidman won an academy award for best actress playing Virginia Woolf. And the music is absolutely luscious. I haven’t read this since high school but I do remember really liking it. Thanks for the review! Yea if I remember correctly, the fact that I liked it definitely put me in the minority. Haha.